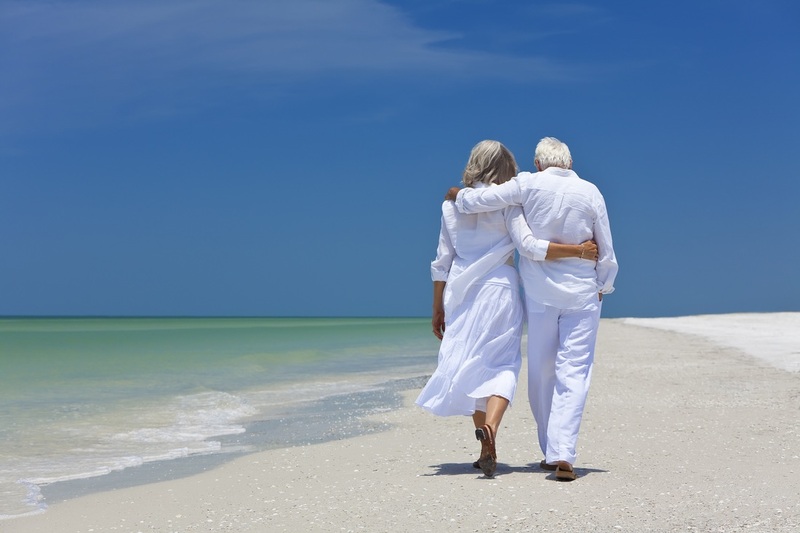 Nowadays more and more people are considering retirement in a foreign country. Higher costs of living and dwindling pension funds have forced retirees to look overseas for a better quality of life. In the west, “expatriate” has ceased to be a bad word. This is part one of a series on the top priorities of retirees and how Thailand rates when it comes to fulfilling their needs. International Living, a long-standing publisher of expatriate periodicals and overseas retirement manuals, conducts an annual survey of expatriates on a wide variety of subjects. Health Care, Safety, and Cost of Living. Over the decades, these three features are “what retirees are looking at” when they consider which host country best suits their needs. This month we’ll take a look at health care in Thailand and specifically the Bangkok – Pattaya corridor. The first thing on a retiree’s health care checklist is availability. How many quality hospitals and clinics are in the area or within a reasonable distance? Between Pattaya and Bangkok we are awash in quality health care. 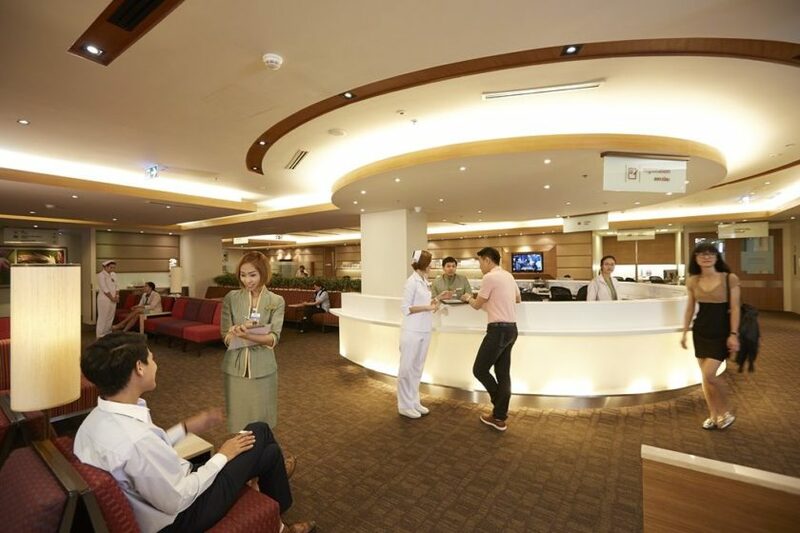 In Pattaya alone we are blessed with at least 5 international hospitals with varying levels of facilities and service. 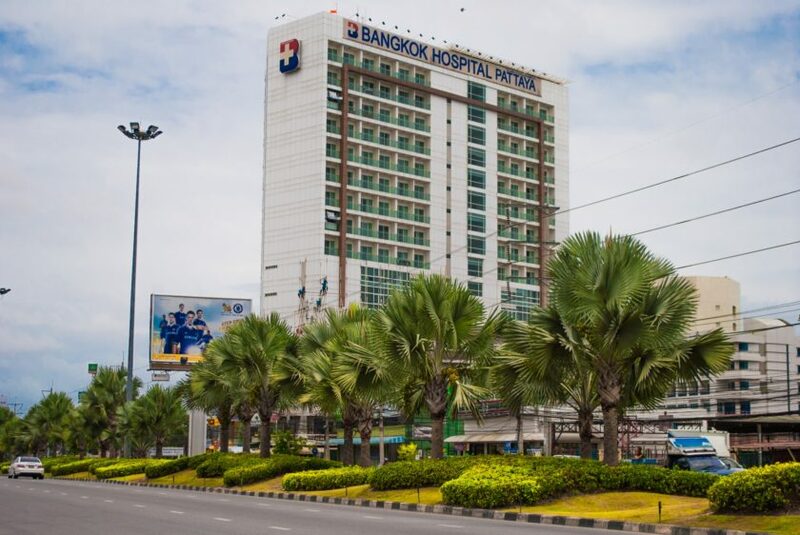 From personal experience I can say that Bangkok Hospital Pattaya is well-equipped, well-staffed and quite professional. Their diagnostics department is particularly good and their wellness check-up packages are quite wallet-friendly. This hospital specializes in artery-bypass surgery, neurosurgery and minimally invasive spine surgery. 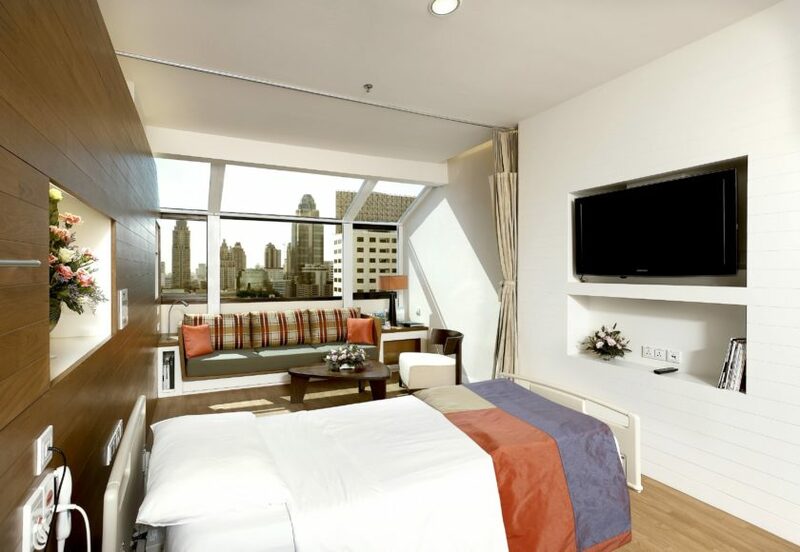 With 400 beds Bangkok Hospital Pattaya is one of the larger medical facilities in area. Each facility has their own strength. 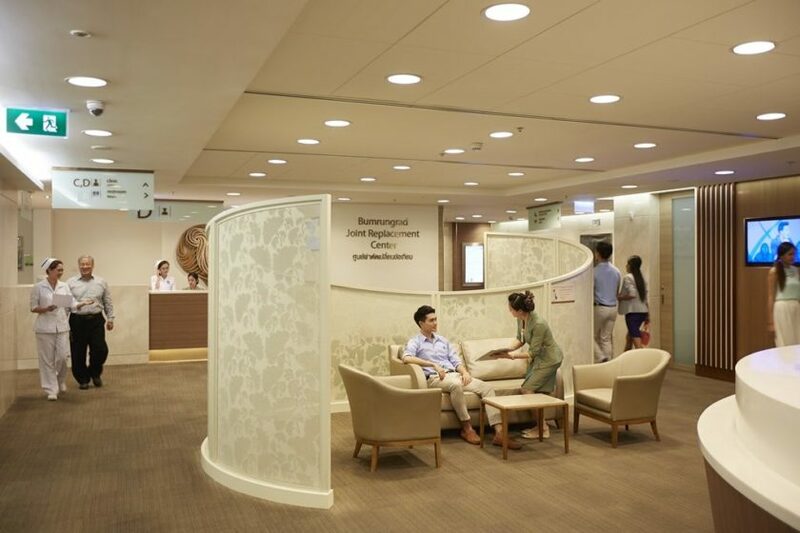 Pattaya International Hospital on Soi 4 boasts a state-of-the-art dental clinic as well as a laser dermatology center that is second to none. 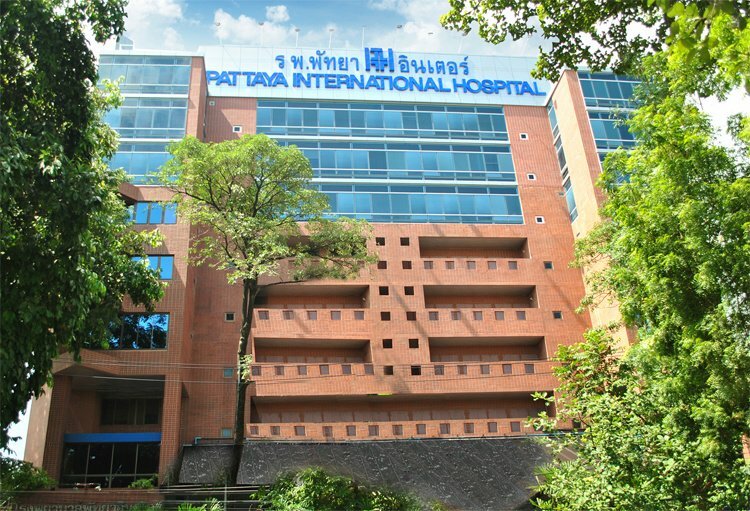 Phyathai Hospital in Sriracha is known for orthopedic surgery and the Navy hospital in Sattahip has a stellar international reputation. Pattaya International Hospital on soi 4 Pattaya beach road. And, if you can’t get comfortable with a doctor in Pattaya, Bangkok is an actual health care holiday destination. Bumrungrad International Hospital sees over 500,000 foreign patients a year. Samitivej Hospital is home to a staff of super-star surgeons famous all over Asia and boutique-ish BNH Hospital in Silom also has a world-class reputation. Bumrungrad International Hospital in Bangkok. If a retiree has an issue with health care in Thailand, it won’t be availability. And, with the health care tourism business booming, current facilities are expanding and new clinics are opening every year. So, all those sparkling white buildings are nice and all, but what about the quality of care? The answer to that question comes at two levels. First is the nursing and physician’s assistant staff. When measuring the quality of care, most health care administrators agree that the ratio of registered nurses (or the equivalent) on a floor to patients is the telltale statistic. In Thailand, the number of RNs to patients is on average 3 to 5 times what it is in my home country. And again, from personal experience, they are highly trained, professional and dedicated to their work. The other factor in the quality equation is of course the doctors. To answer that question, I won’t rely on physician’s bio’s posted on hospital websites. I will rely on my personal experience. My first encounter with the health care system in Thailand was when I met Doctor Chutima. She is an endodontic specialist in Bangkok with a legendary reputation. I went to Dr. Chutima about a serious dental problem that would require some very tricky surgery and endodontic work. After some research and an interview I discovered that Dr. Chutima was a professor at UCLA medical school in the US and actually taught endodontics. She literally filmed the five-step procedure she performed on me as a lesson for her students. She is charming, talented and speaks perfect California English. My urologist from Bangkok, Dr. Apichat is also a superstar. Dr. A is a surgeon trained in Germany, Japan and the US. He is a member of the American Board of Urology. He is also a professor at Chulalongkorn University in Bangkok. When I underwent the first surgery ever in my life, Dr. A was the consummate professional, explaining every step, talking me through all my concerns in perfect English. He was the last person I saw when I went under and the first I saw when I woke up. I could go on and on. My orthopedic surgeon. My dermatologist. I talk to dozens of other expats with similar experiences. What’s more we all agree; we would never be able to see physicians of this quality in our home countries. Either they just aren’t available or we couldn’t afford them. With over half a million medical tourists coming to Bumrungrad Hospital alone, it must be cheaper right? The answer to the health care cost question also comes in two parts; real cost and insurance. Compared to my home country, the real cost of healthcare is absurdly cheaper. The procedure I underwent with my urologist cost 25% of what it would back home. A major surgery like a hip replacement costs about one third of what it would in the US. A comprehensive physical including CT scan costs less than half what it would in most western countries. Even something as simple as a dental cleaning and check-up is about 70% less. The key to wrangling your health care budget when you live in Thailand is the insurance company you choose. Everyone should at the very least carry catastrophic health insurance in case something really bad happens. Most companies offer policies that cover you everywhere but back home. Once again, after nearly two decades of experience, I advise that you stick with the major health care insurers you know. Shopping around or being attracted to some new provider with fancy advertising and no reputation could be a serious mistake. Shop for health insurance as if you are actually going to need it. The availability, cost and quality of health care services in Thailand is one of the top reasons to choose the Land of Smiles for retirement.